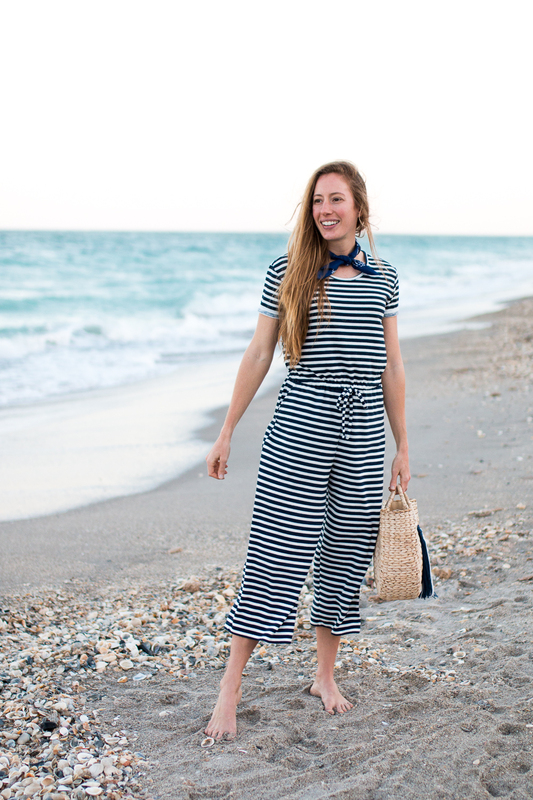 I’ve mentioned it before but I have adored jumpsuits and overalls since I was a toddler, maybe even younger. My mom has photos of me at age one wearing my favorite “ducky” onesie and she said I would throw a fit when I had to take it off. From that point on my love only grew stronger. 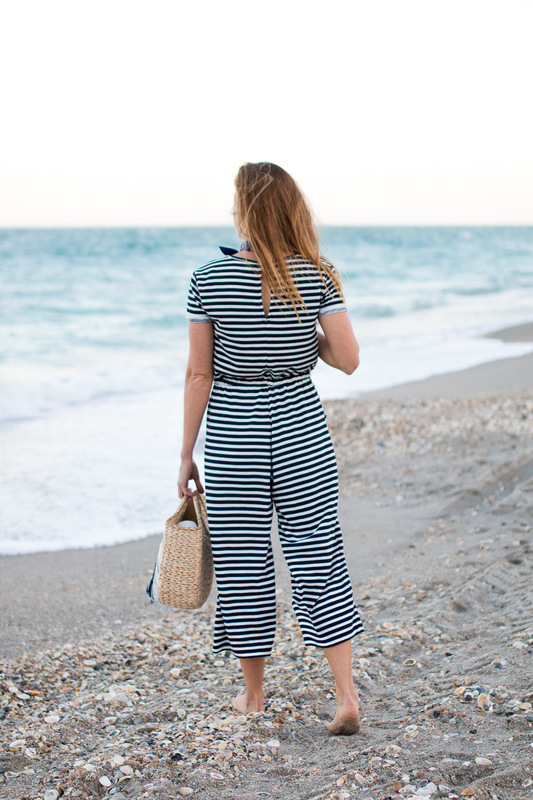 I am 100% into advocating jumpsuits need to stay here forever and if you talk to me in person, I would convince you that you need one of these in your life. 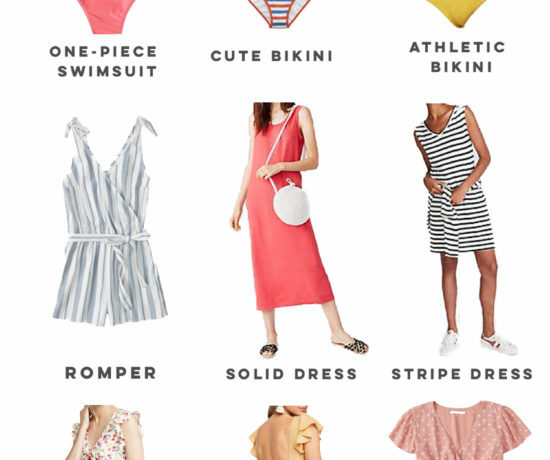 Especially a striped jumpsuit! 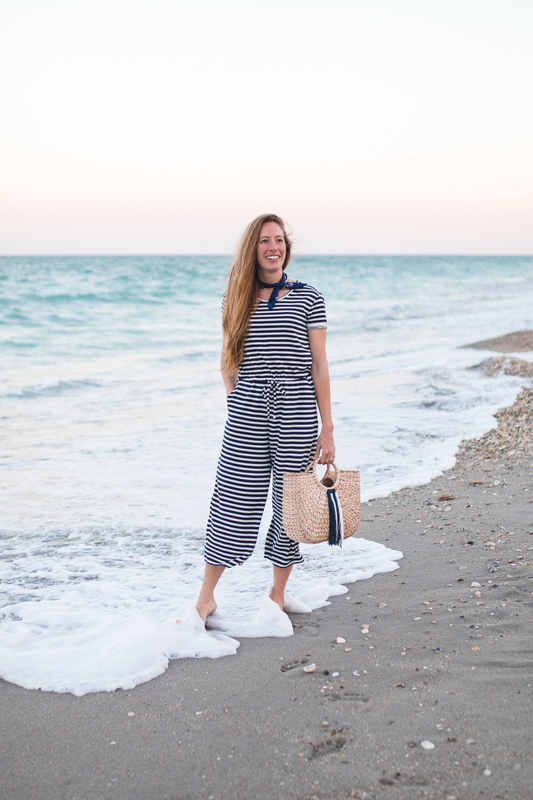 Since my love for one pieces is so strong, I am going to share a post in a few weeks on how to style overalls! Their a close second on making getting dressed so easy. 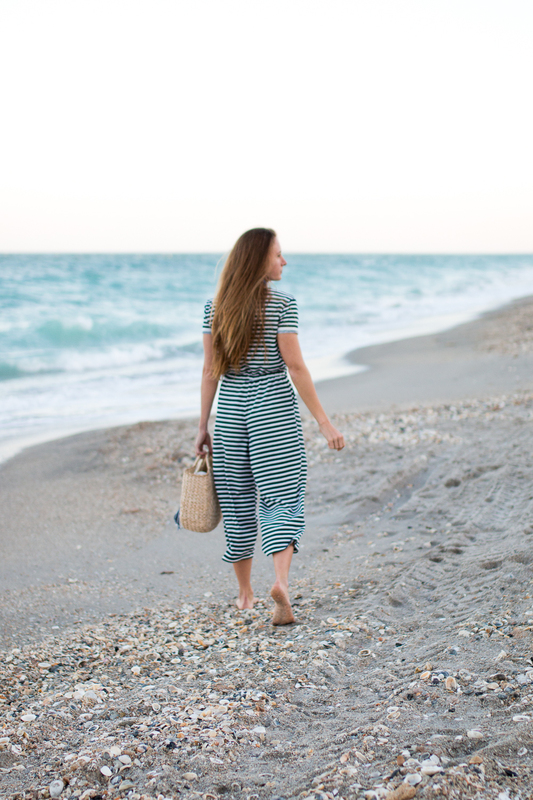 Some of my favorite stores have the cutest striped jumpsuits for under $50, like this blue striped linen one and this girly ruffled sleeved one. 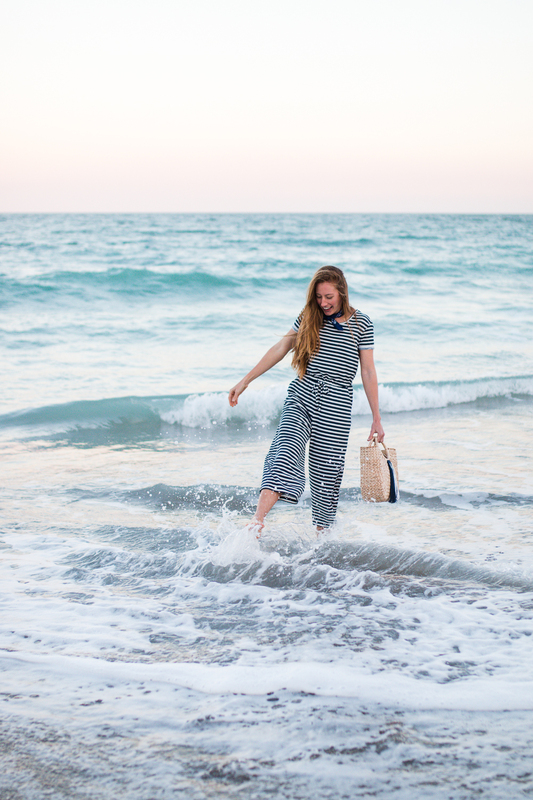 I also love this off the shoulder LOFT chambray one and this beautiful wide leg jumpsuit with a tied waist. Another trend I can’t get enough of for Spring is the handkerchief or bandana tied around the neck! What makes this so appealing to me is that I can buy multiple colors and not break the bank. 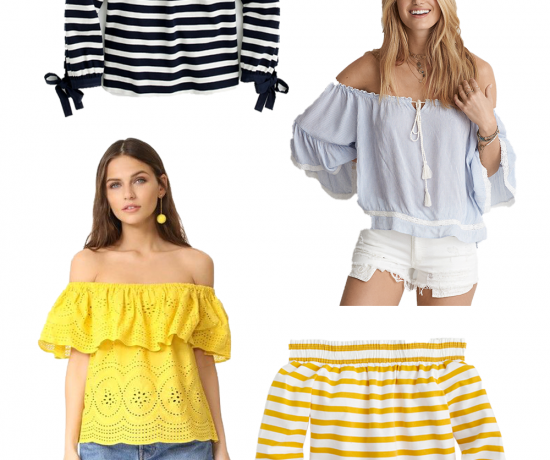 Also, come summer when it’s so hot out, this becomes an easy accessory to add a bit more excitement to a plain old pair of shorts and a tee. 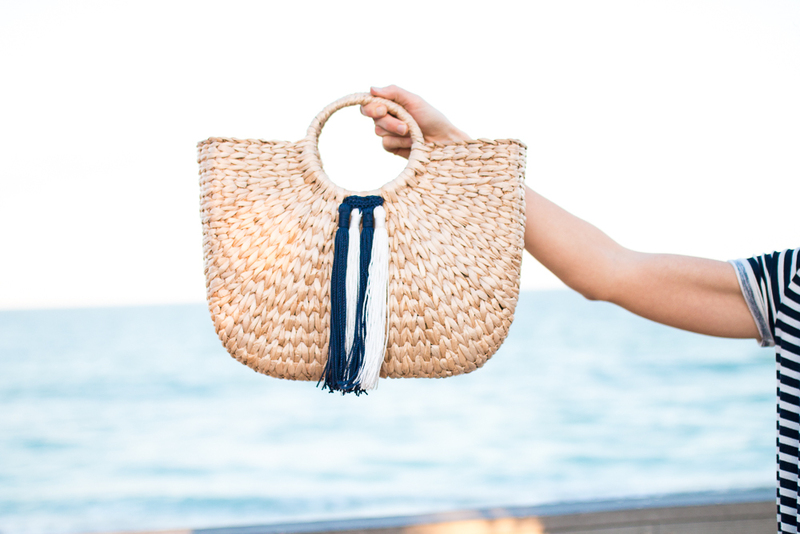 Accessories are the key to dressing up any look in the Spring/Summer, especially places where it’s always warm. I bought mine in store at Walmart and Hobby Lobby for under $5 but I found a similar option here and here for the same price! Gosh, I can’t get over how beautiful the beach is at night. Growing up in Florida, you get used to having something so unique practically in your own backyard. As I’ve gotten older I’ve grown to appreciate the beach so much more! Living by a place you love so much makes me feel so grateful! 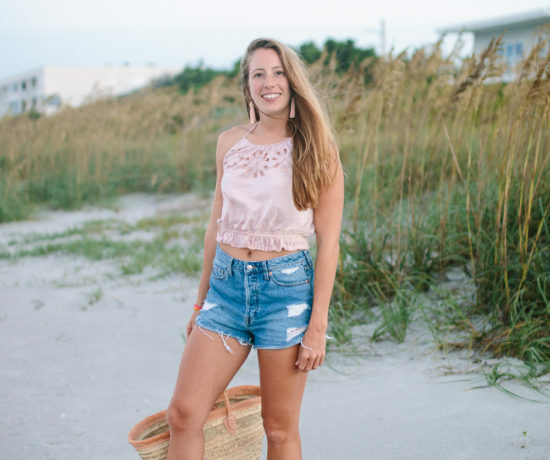 Recently I invested a Mastermind (it’s a group of creative and like minded women dreaming and planning together and designed to help grow your business) and for our first assignment they asked us a ton of questions. One of them was, “What does your dream day look like?”. 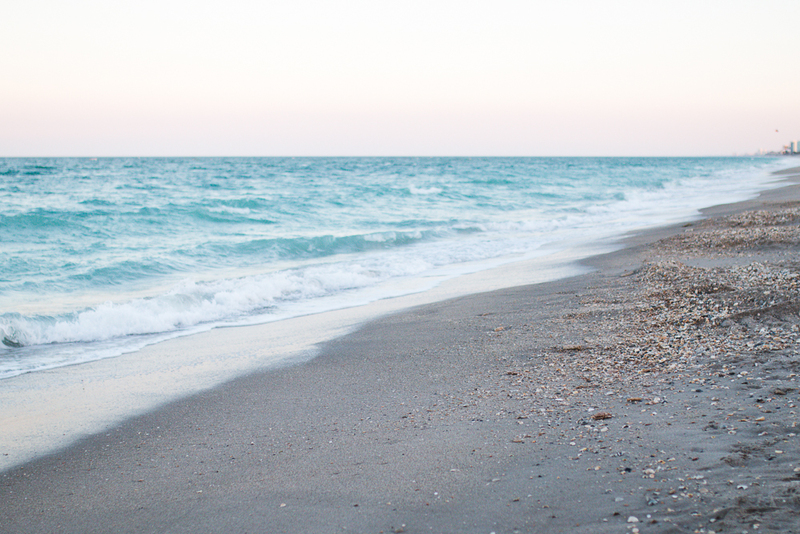 When I dream about my perfect day, it always starts at the beach. Nothing is more enjoyable or relaxing to me than swimming in the ocean, paddle boarding or just soaking up the warm sun. My dream day is so simple. Eat tacos and acai bowls, go to the beach, wear a swimsuit and hang out with my friends and family. Pretty sure that’s why I love summer so much because I get to live out my dream day constantly. 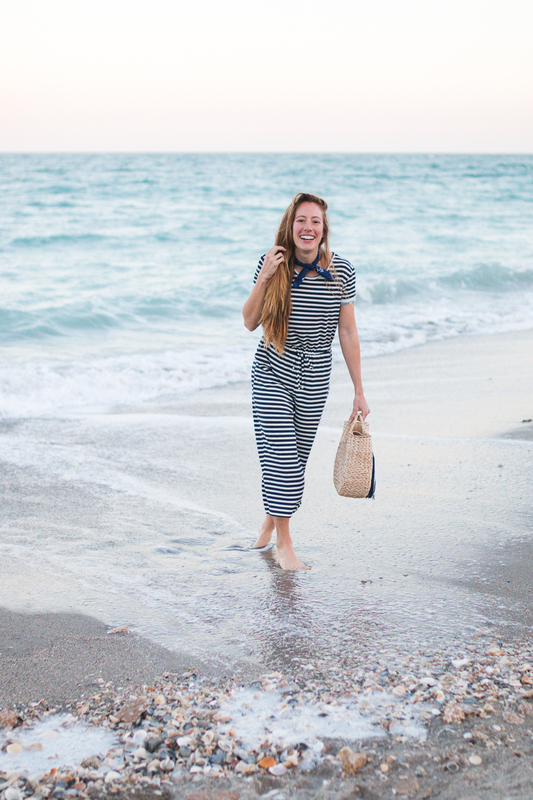 Does anyone else love a good striped romper? Or think the beach is the best place on the earth? 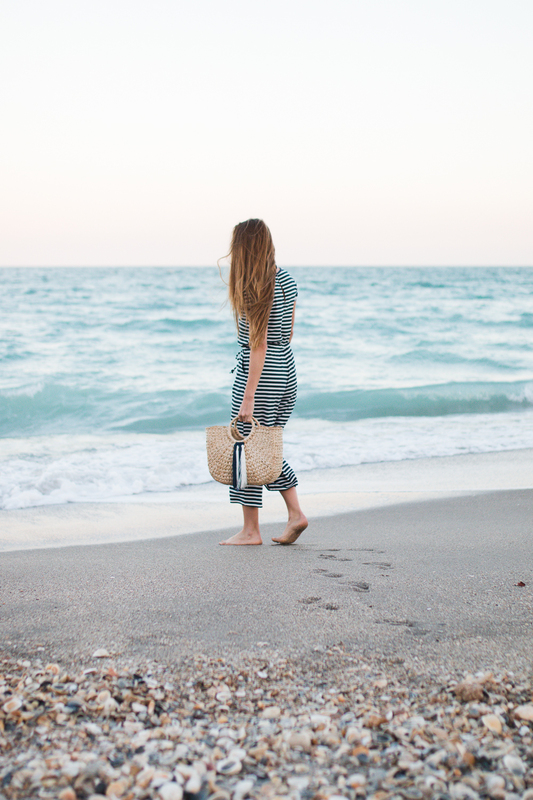 What I Packed for my One Month Hawaii Trip + FREE PRINTABLE! 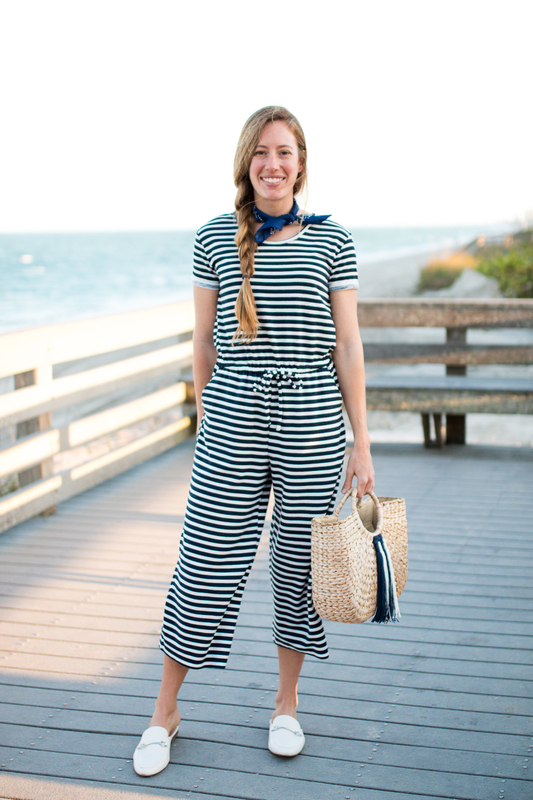 That jumpsuit is adorable! I love the scarf paired with it.